Home StoreWILDLAND FIRE TOOLSCal-Fire Crew Compliment, SALE- 15% OFF, 1/2 OFF SHIPPING & FREE T-SHIRT! Cal-Fire Crew Compliment, SALE- 15% OFF, 1/2 OFF SHIPPING & FREE T-SHIRT! 15% OFF, 1/2 OFF SHIPPING & FREE XL. T-SHIRT!!!!!!! Cal-Fire Crew Compliment comes with a wide variety of top notch wildland fire tools that’ll fit into your fire side crew compartment. Check out the fire compartment configuration pictures above. 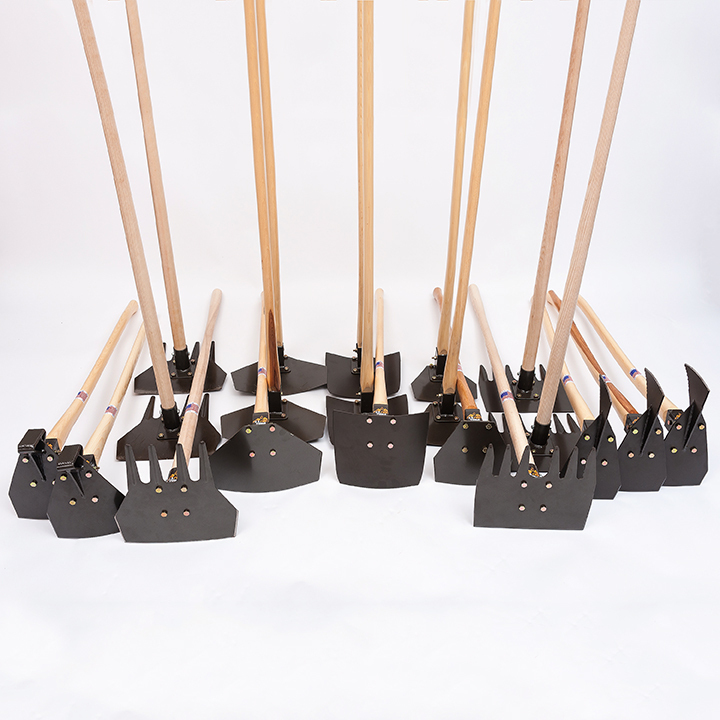 Build towering trenches and smash stobs with your 40″ handles. Then scrape tons of debris and grass with your 48″ handles. These tools are excellent for both soft and hard top soils. There’s no fire this compliment can’t handle. If ordering more than 3 compliments, you may need to order twice or call (530) 272-1444. It’s difficult for our website to process large orders. Thank you!